How to make unit test? Unit testing is testing the first white box-type to be charged by profile type developers. In the case of this kind of test the important question is « What is the quality of the units developed and how to measure it? Thus, it is for the developer to test a module, independently of the rest of the program in order to ensure that it meets the requirements (functional / technical) and it works correctly. This audit is currently an audit of code coverage, which is to ensure that the test leads to perform all (or a portion) of the instructions in the code to test. This results in a simple way by creating a test class per class developed. Thus we must select values for which we can determine the outcome. To help the developer tools exist and JUnit is the most effective (see details in the section on tools). Static code (path) analyzer: it is identifying paths / code structure as measured McCabe, etc. MAVEN: free software tool for the management and automation of production of Java software projects. It provided a way to synchronize independent projects: publication Standardized information vending module jar. In basic version, Maven can dynamically download material on storage software known. It offers the transparent synchronization of modules required. Checkstyle: This control ensures a well-defined level of quality of source code. Weekly reporting is generated and provided through the tool MAVEN. Each anomaly must be met up through a management tool defects. Thus, the anomalies are included in the tool as tests. I advise you to report for more details on the subject. Preview: new versions of Quality Center and QuickTest Pro V 10.00! (Does the use of figures 10.00 warns that there will be many patch and it is expected to version 10.94 Only time will tell). HP has reported that all the information and risk are subject to because not included in versions 10.00 in February. Yet I take the bet that if. This warning of HP is probably the only legal title. I need not address in this article from Business Process T. (BPT) for the moment because it’s uncommon among French customers and above all a desire / wishes for HP to sell full containers (first desire of any software publisher after all). First Edition: Designed for a team with needs such as advanced multi-project, high availability platform supporting QC, etc. I will detail here only the Enterprise Edition / First of QC because it is where the real changes / new features. The sentence shock input presentation by HP was « Mastering the chaos version requirements, tests and components”! Rather ambitious and shock, but see news (grouped by topic below). Take this version of reporting as the V1 from the old … Finalized dashboard module so. Establishment of baselines (creating a picture of a set of project components), to mark / identify the milestones of the project. Example: requirements validated V1: establishing a baseline. It also allows you to freeze a configuration of testing association with a test campaign. HP cites a 2008 report issued by Forrester and noting that the new management module requirements of HP is the first before all others. Hmm … I just think this kind of premature conclusion since the version that comes out in February and that results can be obtained after a few months of intense use in the real customers. A monitor then. It is now (finally?) possible to define a project template and especially to use it and share it between many projects. The major fact is the possibility to update the template and distribute the update on the entire project implementing it. You should know that the current version 9.2 is only possible through internal development of each client. Monitoring local system: this module allows RUN when scripts to monitor the implementation and some points. Specifically we can identify at what point and following the action script a problem occurs. For example, a peak CPU load generated by the action of a QTP script. This will help to strengthen links and interactions between the teams test and those in charge of performance tests. It should be noted that this function has been implemented by many customers through internal development. They will appreciate. My final impression is that QTP is transformed into CASE (Computer Aided Software Environment or AGL (Atelier de Genie Logiciel for French people)) but oriented tests. What I mean is that HP has incorporated many features to better script and more to help developers fully QTP scripts. I find it beneficial for all writers. Do not draw hasty conclusions and wait till the first returns of experience other than HP. Finally, synergy, linkages between QTP and QC seem also strengthened. To migrate your versions to 10.00 you must already have version 9.0 (patch 26) and QC 9.2 (patch 12). Unable to migrate with older versions as these. An upgrade tool is available on the HP site to help you with migration. But be careful if this works as the previous times you need to go through testing experts to help you because the migration tool from HP does not expect miracles and calls for the intervention of humans. One last thing about the migration, if you go to QC 10.00 you should necessarily go to the 10.00 version of QTP. Do we collect on the body of this bloodless automation testing tool that was a forerunner in our industry. He well-deserved retirement. Rest In Peace WinRunner and thank you for everything. And the goodies offered by HP for us to reward our time and attention? Well we had a pink plastic pen, a few blank sheets to the header of HP … and a book in English on the tests! 1. What is the big deal about testing? 6. Why bother with non-functional testing? I try to read this book quickly and I will make my opinion, soon. Ultimately, HP’s strategy is to play together in the editing software to expand its functional and its turnover. What is a healthy and able to provide end users with better service and services companies expanding their services (with a contribution of value added greater than today). However, HP blithely tramples the toes of many competitors / software editor. So publishers with tools for managing requirements and configuration management / version will inevitably their market shares reduced inexorably by HP. As inexorable as desertification in Africa? Not so on this because, take for example publishers management software requirements, their products will not be dedicated more complete than that of HP. It remains to be seen more fully the choice of HP doing in this area and the effort to test them in real life! Cet article doit pouvoir vous aider pour choisir un outil de référentiel de tests dans la sérénité. Pourquoi ? Car chez certain client les choses ne sont pas aussi facile que l’on peux le croire. 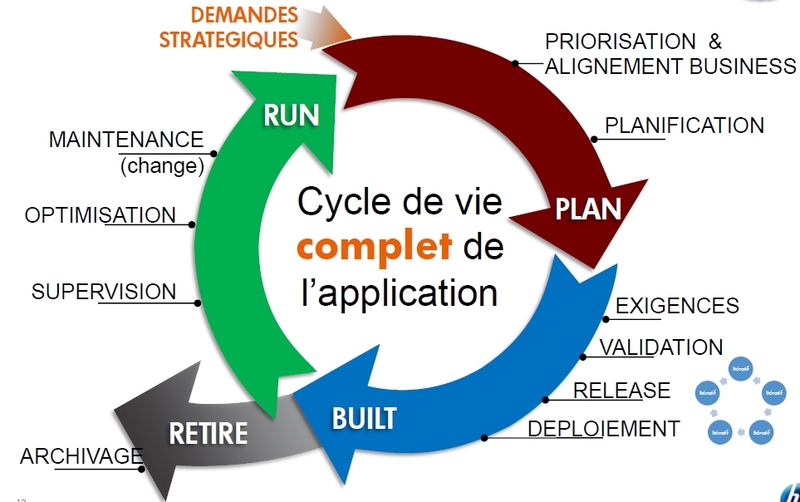 Exemple : un client possède déjà un outil de chez HP (QC) et en même temps utilise Entreprise Architect (EA) pour gérer ses exigences. La question est « Est-ce que l’on utilise quality center ou EA ? ». A partir de cette question il y a eu des remous sur le choix à faire. Et la politique inter-services et le frein de certains utilisateurs n’aidant pas le stand-by fut prononcé… Jusqu’à que la liste ci-dessous soit apportée. Elle n’existe que pour apporter des informations FACTUELLES sur les fonctions principales devant être remplies par un outil de référentiel de tests. Comme vous pourrez peut-être le constater elle n’est pas orienté pour que Quality Center soit choisi (je tiens à dire que ce n’est pas de l’ironie). Possibilité de pièces jointes, captures écrans, etc. Impression de rapport déjà renseigné et formaté avec chiffres et statistiques par modules / fonctions, etc.